Selamat datang di Jurnal Politeknik Negeri Madiun yang menjadi media informasi dan komunikasi para praktisi, peneliti, dan akademisi yang berkecimpung dan menaruh minat serta perhatian kepada pengembangan ilmu pengetahuan dan teknologi. Laman ini berisi jurnal-jurnal yang diterbitkan oleh seluruh Civitas di lingkungan Politeknik Negeri Madiun. Welcome to Journal of State Polythecnic of Madiun. The journal is intended as an instrument for individuals, practitioners, researchers, and academics who are conducting research based on their expertises. The Journal aims to promote interdisciplinary research regarding engineering, accounting, management, finance and ⁠⁠⁠business administration. This page contains journals published by Civitas in the entire State Polytechnic of Madiun. Journal of Electrical, Electronic, Control, and Automotive Engineering (JEECAE) is a periodical scientific journal containing the work of researchers, lecturers, and practitioners on the study of thepower system in electrical engineering, electronics and control engineering, mechanical engineering and automotive. The journal is published by the engineering department of State Polytechnic of Madiun (PNM) with the aim of collecting the innovative works from authors, publish new ideas and innovation. The discussion on JEECAE focuses on analysis, implementation, and development of engineering science that benefit the society. 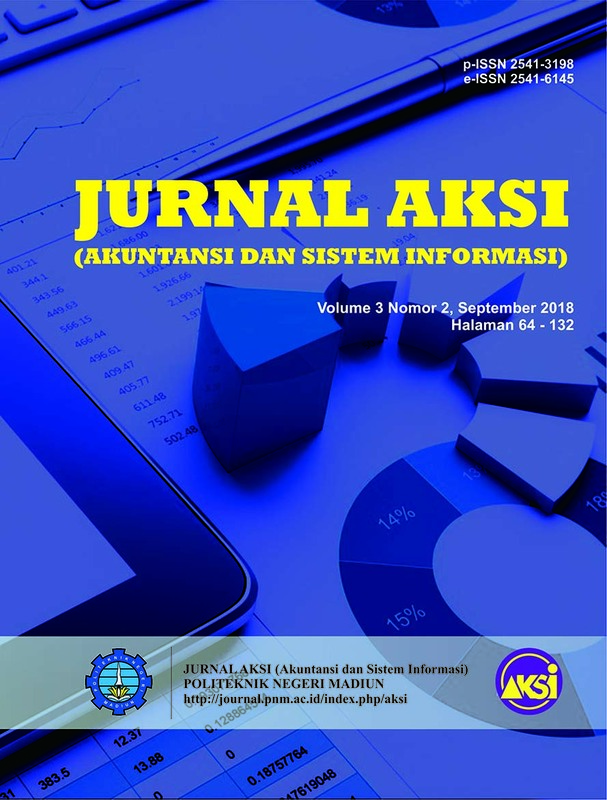 Jurnal AKSI (Akuntansi dan Sistem Informasi) with registered number ISSN 2528-6145 (printed), ISSN 2541-3198 (online) is scientific journals which publish articles from the fields of accounting and information system. AKSI will publish in two times issues Volume 1, Numbered: 1-2 are scheduled for publication: May and September. You have to make sure that your paper is prepared using the AKSI Template, has been carefully proofread and polished, and conformed to the author gudelines. Please read this guideline carefully. Every manuscript sent to the editorial office of the journal ought to follow the writing guidelines. If the manuscript does not meet with the author guidelines or any manuscript written in a different format, the article will BE REJECTED before further review. Only submitted manuscripts that meet the journal's format will be processed further. Epicheirisi : Jurnal Manajemen, Administrasi, Pemasaran dan Kesekretariatan with registered number ISSN: 2548-7817 (online) is scientific journals which publish articles from the fields management, administration, marketing and secretariat. The jurnal epicheirisi : jurnal manajemen, administrasi, pemasaran dan kesekretariatan, published twice a year. In February and September. You have to make sure that your paper is prepared using the Epicheirisi Template, has been carefully proofread and polished, and conformed to the author gudelines. Please read this guideline carefully. Every manuscript sent to the editorial office of the journal ought to follow the writing guidelines. If the manuscript does not meet with the author guidelines or any manuscript written in a different format, the article will BE REJECTED before further review. Only submitted manuscripts that meet the journal's format will be processed further. 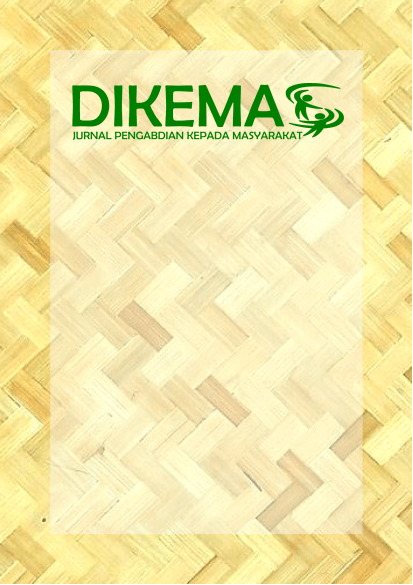 DIKEMAS (Jurnal Pengabdian kepada Masyarakat), with registered number ISSN 2581-1932 (online) is a scientific multidisciplinary journal published by Politeknik Negeri Madiun. It is at the national level that covers a lot of common problems or issues related to community services. The aim of this journal publication is to disseminate the conceptual thoughts or ideas and research results that have been achieved in the area of community services. DIKEMAS (Jurnal Pengabdian kepada Masyarakat), contains various activities of the teaching staff in handling and managing the various potentials, obstacles, challenges, and problems that exist in society. Implementation of service activities also involves the participation of the community and partners. Service activities are organized into an activity aimed at improving the welfare of society. Please read these guidelines carefully. Authors who want to submit their manuscript to the editorial office of DIKEMAS (Jurnal Pengabdian kepada Masyarakat) should obey the writing guidelines. If the manuscript submitted is not appropriate with the guidelines or written in a different format, it will BE REJECTED by the editors before further reviewed. The editors will only accept the manuscripts which meet the assigned format. In the following year of publication, is going to publish journals twice in two terms: March and September. Please submit your manuscript. Please Download the Template HERE.